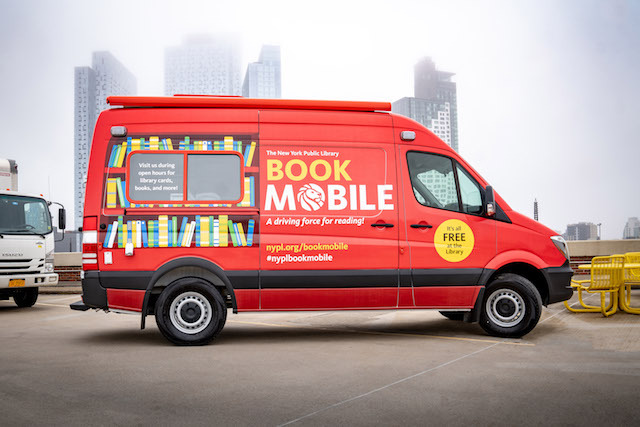 Starting this summer, the New York Public Library will be bringing books to residents of the Bronx, Staten Island, and Manhattan via a new fleet of brand new, strawberry red-colored vans. These new NYPL bookmobiles are designed to help communities that don’t currently have easy access to libraries, or whose local libraries aren’t completely operational. The Bronx’s Grand Concourse Library, for example, is currently closed for the next year due to ongoing renovations. The NYPL had a history of offering New Yorkers books through its mobile libraries, at times called bookwagons, for over a century, but it has been nearly four decades since regular bookmobile services. 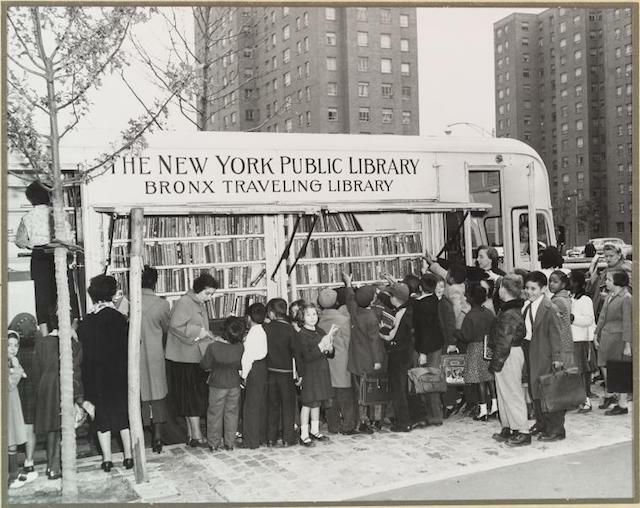 This entry was posted in Books, History, Libraries, USA and tagged Bookmobiles, Bronx, New York City, NYPL, Queens, Staten Island. Bookmark the permalink.